We love because He first loved us, (1 John 4:19). When the Lord with great compassion and tenderness touched us with His Grace and saved us, we began a journey with Him full of blessings. His love reaches every human who is open to receive it and delivers the mighty power of God, transforming our lives, and the lives of those whom His providence draws near to us. This book is about the love of God. It is about His amazing love that gives us the strength and the courage to live every day with joy in our hearts; God’s marvelous love transforms us into His likeness and gives us the inspiration we need to serve others and to love our neighbor as ourselves. In this book we also talk about God’s compassionate love, that fills us with the hope we cling to, the comfort and His peace that surpasses all understanding, during the toughest difficulties of life and our deepest sufferings; God’s amazing love gives purpose and direction to our lives, and helps us to live a life of contentment and fulfillment; His tender love inspires us to live separate from sin; God’s love is the best deterrent to sin, avoiding all the unnecessary suffering and pain caused by the consequences of sin. The goal of this book is to help you, dear reader, to reflect on the love of God, and to understand more completely, how wide and long and high and deep is the love of Christ, (Ephesians 3:18). We first begin to experience the caring, tender, and the infinite love of God with the realization of how much He loves us; it is His love that saves us. Our hearts are overjoyed when we exclaim: God’s Grace touched me! His Grace reached for me! I will never be alone! I will never be the same! Jesus is always with us; the darkness that was like a mist preventing us from seeing the right path, has been replaced by His amazing light, ever brighter, that shines in our darkness, illuminating our whole beings. Our hearts, through His grace, open to the reality that Jesus was thinking in each one of us when He willingly went to the Cross carrying our sins to free us from the slavery of sin. We were completely washed in His blood, and He forgave of all our sins, to live truly free of the guilt of sin. However, salvation and forgiveness of sins mark the beginning of our journey with the Lord. God loves us so much that cannot leave us broken as we were when we first came to Him. Yes, Jesus! Please transform me into your likeness! Yes, Jesus, heal my soul, my body, and the suffering that still clutches my heart! Yes, Jesus, give me your Holy Spirit, and teach me how to live for you and for all those who I come in contact with! Yes, Jesus, please, make me whole, and give me a loving, compassionate, and caring heart! And Jesus, please, never, ever, let me go from your presence! I know you heard this humble prayer! Thank you, Jesus! In the Name of the Father, through Your Precious Name, Jesus, my Savior, Amen! By our own free will and cooperation with Him, Jesus Christ transforms us into His likeness little by little, tenderly and gently, throughout our lives. Jesus will close our wounds, taking the debris and dirt out, healing them with His love. On top of this, He will give us a new heart, full of love, kindness, and compassion for others. His love will fill our hearts and we will go on living with Him, eternally. Once we have decided to follow our dear Savior, Jesus, His love, and His hope, will not abandon us because We are His Masterpiece, He has created us anew in Christ Jesus, so we can do the good things he planned for us long ago, (Ephesians 2:10). The journey in fellowship with Jesus started when we were born again, and we entrusted our lives to Him, but does not end there. We will walk with Him during this life, until the joyous day, when we see each other face to face in His Heavenly Kingdom. In this book, we review what the word of God says about the love of God. While His love is beyond our comprehension, we can experience His love if we are open to receive it. As we experience the love of God through His Holy Spirit, we experience peace and contentment. We realize that His love is our true happiness! If we have Jesus, we have it all: The Lord is my shepherd; I have all that I need, (Psalm 23:1). When we choose to follow His instructions, precepts, and commandments with the help of His Holy Spirit, we find true peace and contentment that does not depend on our material possessions, prestige, or a life without difficulties, but on our relationship with Jesus. A close relationship with God depends on our knowledge of Him, on obedience to His Word, and on trusting Him, by complete surrender of our whole beings to Jesus Christ. Our relationship with God through His Son Jesus Christ should be one of trust, knowing that the Lord is good. His unfailing love continues forever, and his faithfulness continues to each generation, (Ps. 100:5). Through every event of our lives, He is with us, because God’s love for us does not depend on our feelings or our emotions, but His love is constant, faithful, unconditional, powerful, always at hand, and everlasting. Dear reader, you can experience His love by knowing Him better through His Word. In this book you will find, dear reader, a great selection of Bible verses that have inspired Christians to love Him with every inch of their hearts, for the past 2000 years. 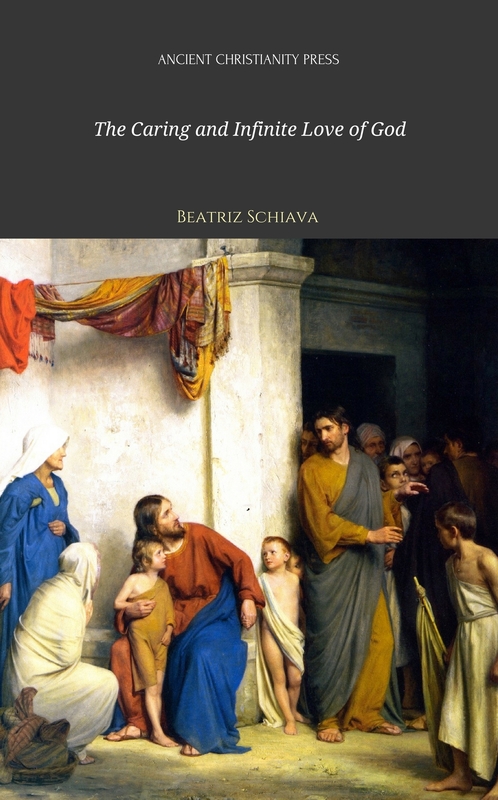 This book is also a plea for us to return to the heart of Jesus, to know Him better and accept his caring and infinite love. I want to share with you, dear reader, this loving and caring God, the Holy One, and His Son Jesus Christ. His light, ever brighter, enlightens my darkness and soften the difficulties of life. I rejoice in His Salvation! It is such a treasure, a once in a lifetime gift, that was paid in full by Jesus on the cross! Nothing else is needed, yet, with His Salvation, this generous and loving God adds so many blessings! Jesus said: Seek the Kingdom of God above all else, and live righteously, and he will give you everything you need, (Matthew 6:33). We are always in debt with the Lord; there is nothing we can do to repay His generosity. The apostle Paul reminds us: “God saved you by his grace when you believed. And you can’t take credit for this; it is a gift from God. Salvation is not a reward for the good things we have done, so none of us can boast about it,” (Ephesians 2:8-9). “But thanks be to God, who in Christ always leads us in triumph, and through us, spreads the fragrance of the knowledge of him everywhere,” (2 Corinthians 2:14). Bible references are taken primarily from the New Revised Standard Version Bible. In less measure, we take Bible references from the Holy Bible, New Living Translation, (NLT), and “The Amplified Bible Classic Edition, (AMPC)” These last two Bible versions are annotated in the bibliography. The Bible verses in italics are for emphasis. Next Are You Born Again? by J. C. Ryle (1816-1900).